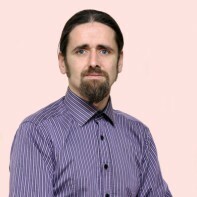 Councillor Luke "Ming" Flanagan is standing as an independent candidate in Roscommon-South Leitrim. Flanagan first stood as a general election candidate in 1997 when he ran as a pro-cannabis candidate, featuring images of marijuana leaves on his election material. The 39-year-old was elected to Roscommon County Council on the first count in 2004 and subsequently returned in June 2009. He is the current Mayor of Co Roscommon. Flanagan gained some attention in the international media when, in 2001, he posted cannabis cigarettes to every member of the Oireachtas as part of his campaign to legalise the drug. congrats i voted 4 u for honesty and belief in what he says, now go give em hell! The I M F will probably pull out of ireland now when they see what we ellect to run the country ! God help us all if Luke Flanagan is the best we can do! Let me guess you voted for fianna fail again?? Wake up man. A change is needed, and while luke flanagan may indeed not be the answer to our problems at least it shows that some of us at least are sick of being dictated by over zealous, corrupt, nanny governments..
Luke Flanagan is an inspirational young man who has Ireland’s best interests at heart. He is exactly what we need, someone with fresh ideas, community spirit and a desire to move forward. I assume you voted for Fianna Failure as you sound disappointed..? If this is the case, I’m delighted for you because they are the only reason your beloved IMF are in our beautiful little country. As an elected TD he is entitled to a €93,000 annual salary. He has pledged to donate half of his salary to his local community to aid youth projects. Name any other Irish politician who would do this without having to forcefully take it from them? And in regard to his stance on cannabis, what would you rather?.. Taxation, regulation and a national income OR the funding of organised crime?.. You decide. How many other TD’s are holding onto their fat cat salaries while gulping pints of porter, puffing on tobacco and dictating to everyone else what they should and should not do. It doesn’t seem to be a crime to run our country and future generations into an €80 billion debt and escape completely untouched. Yet, it’s illegal to grow a plant and smoke the leaves?.. And don’t dare compare cannabis to hard drugs because they couldn’t be farther apart. Put your stubborn old fashioned stance in the bin and have some consideration for others.